The IBBY collection of Outstanding Books for Young People with Disabilities 2017 is on tour in the UK from September 2018 to February 2019. It has visited a number of different venues, with more still to come. The books have been very well received and have been used in very different ways by the different organisations involved. 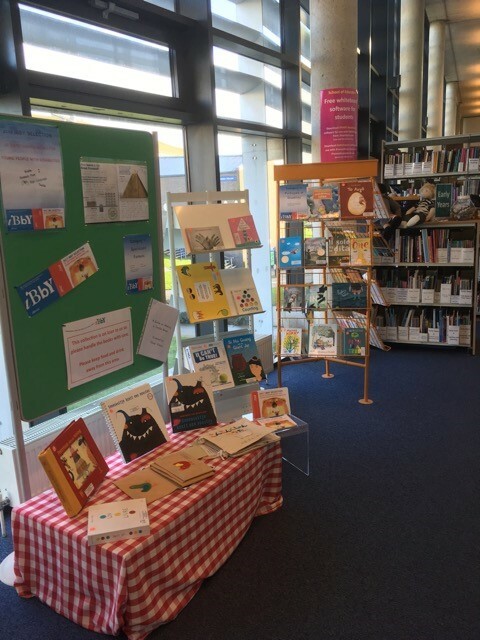 “Students were encouraged to engage with the collection visually through the vibrant display of IBBY books at Homerton College Library but also interact through using them as primary research texts. Homerton College as part of the Cambridge Centre of Children’s Literature hosted an event around the collection… The seminar was a collaboration between PHD students Anna Purkiss (University of Cambridge) and Fox Benwell, (Anglia Ruskin University) who presented their research, giving an overview of both the academic field and the primary texts available. 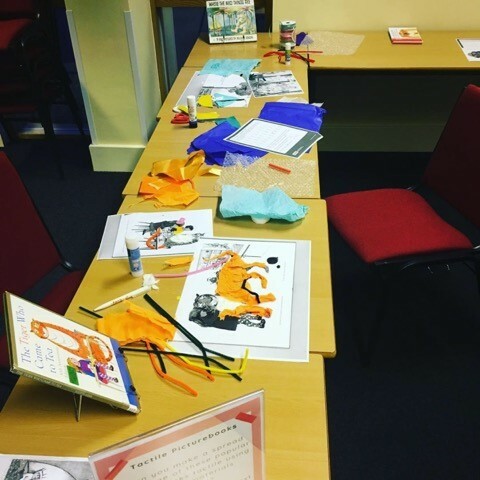 Over 30 attendees (staff and students from both institutions) explored the varied IBBY collection, engaged in discussion and had a go at making spreads from popular picture books tactile (with fantastic results!)”. You can read a blog about the event by PhD student Carrie Spencer here. The Scottish Book Trust used the collection during Book Week Scotland in November. In her blog about the collection, Emma Dunn highlighted 3 books that were particular favourites. Read about them here. The Curriculum Centre of Brighton University School of Educationhosted the collection before the Christmas break. The Centre blog was very effective in advertising the display, using information from the IBBY catalogue. Read the blog here.